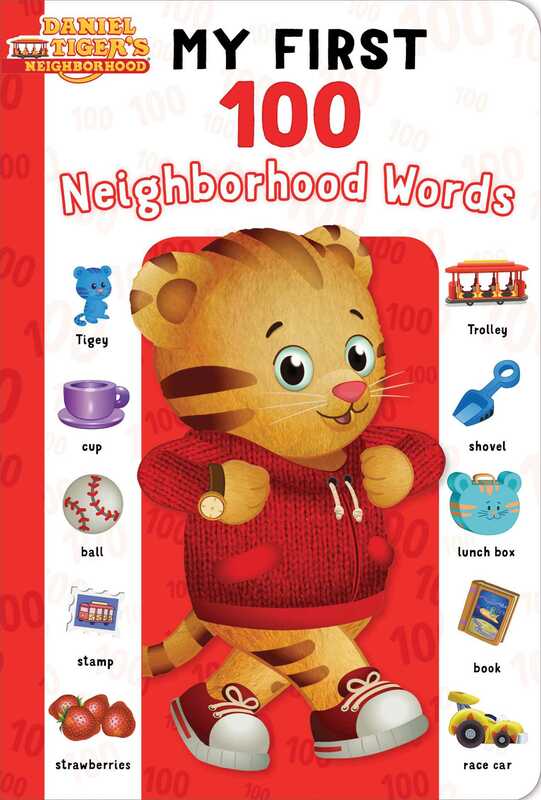 Now the youngest Daniel Tiger fans can learn 100 first words, like “Trolley,” “trumpet,” and “ball,” with their favorite tiger, Daniel! What kinds of words make up Daniel Tiger’s world? Find out in this book of first words for the youngest fans of Daniel Tiger’s Neighborhood. From “flower” to “crayons” to “Tigey” and everything in between, this sweet story takes readers on a tour of Daniel’s favorite places, like his school, and the words and pictures that go along with them, like his “backpack,” “lunch box,” “book,” and more!